Good afternoon everyone! I hope you are all having a wonderful weekend! 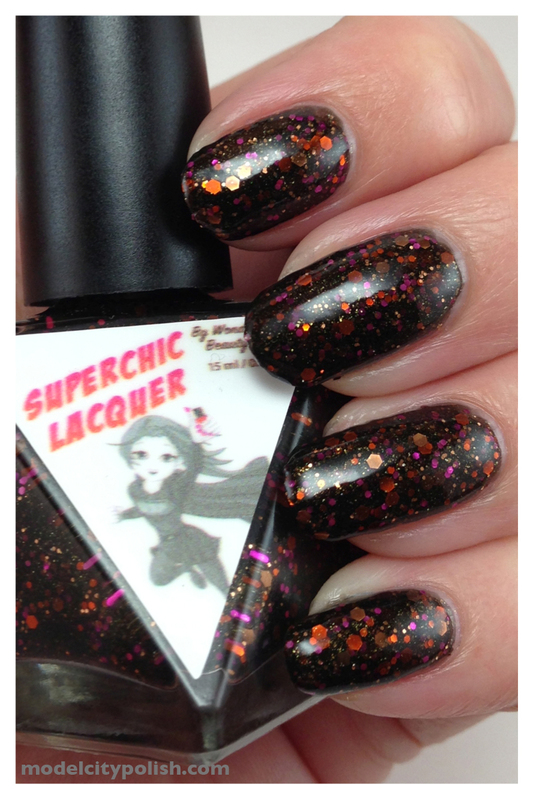 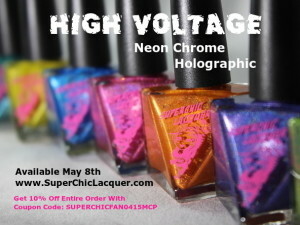 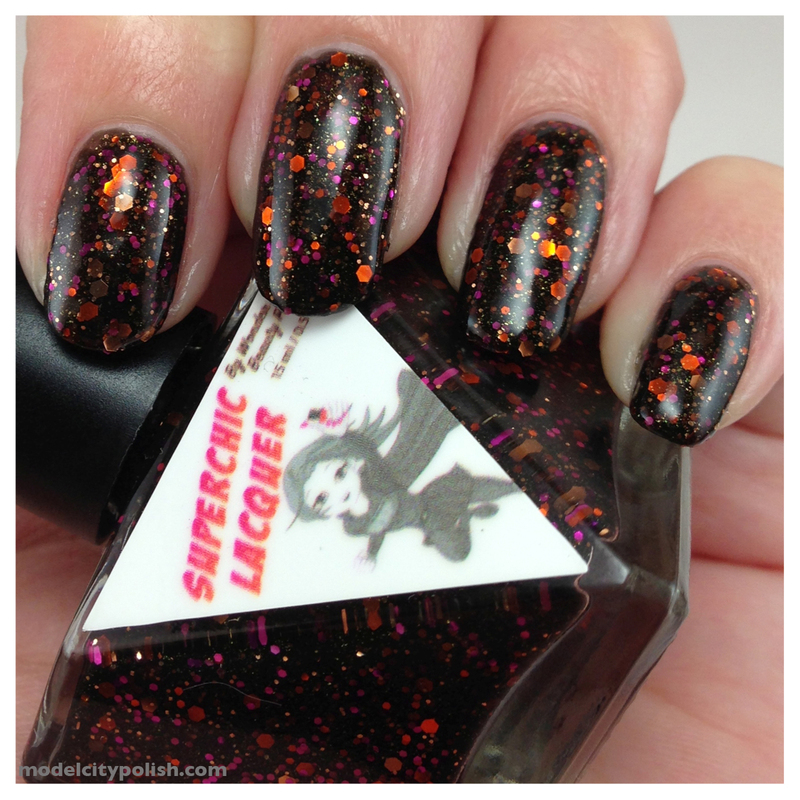 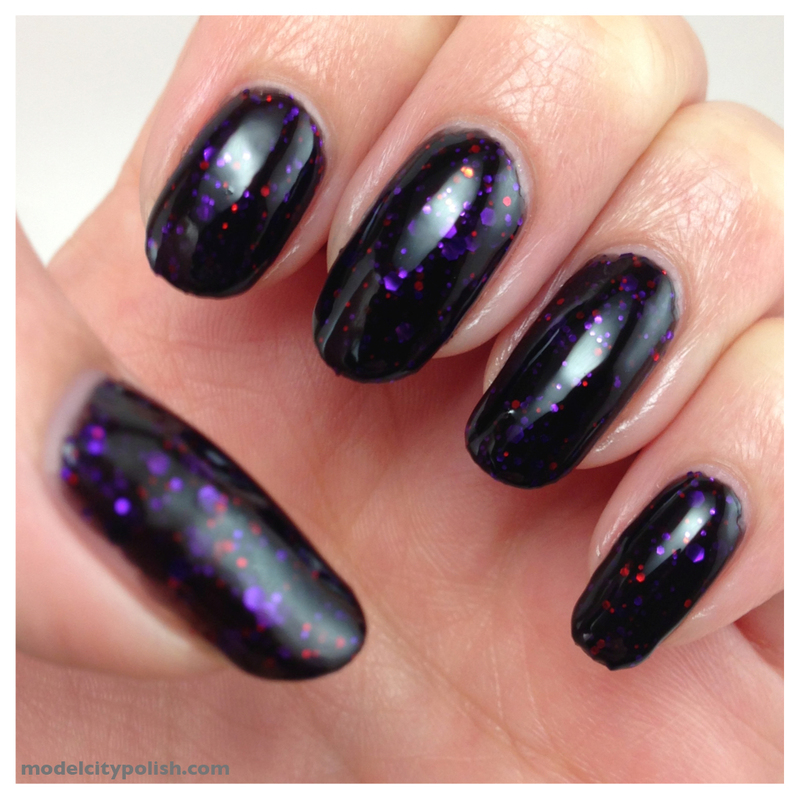 Today I have two Halloween beauties to share with you guys from Superchic Lacquer. 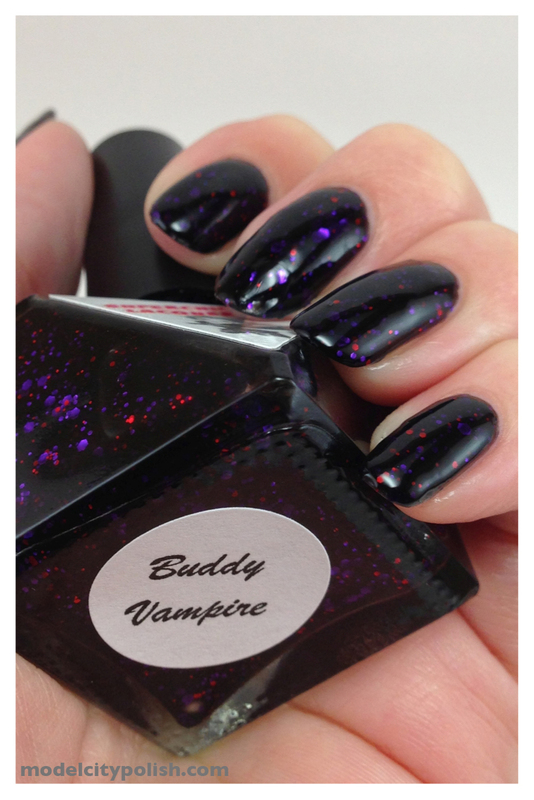 First up I would like to share Buddy Vampire. 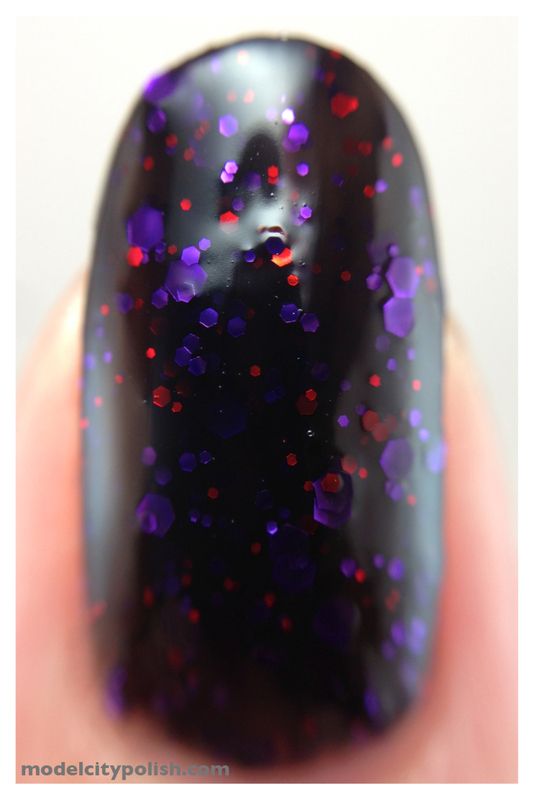 This blend is a very rich black with purple and red glitters in various sizes. 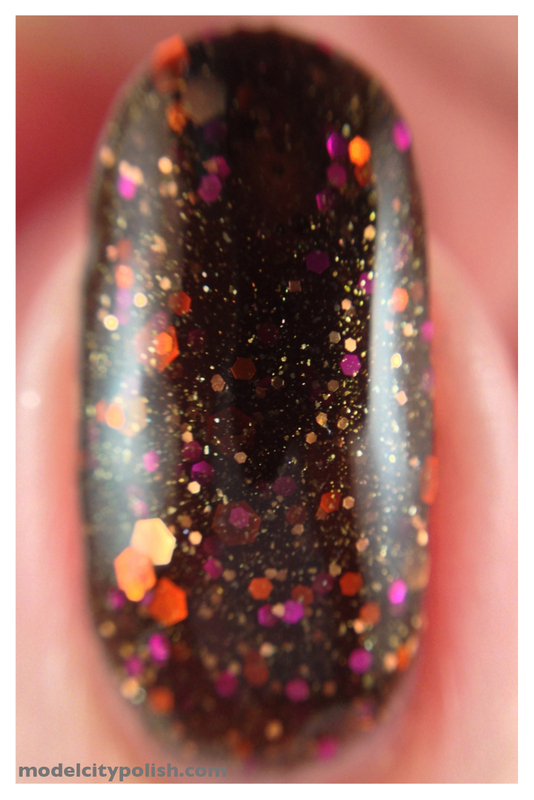 I really love the dark colored glitters with the dark back drop. 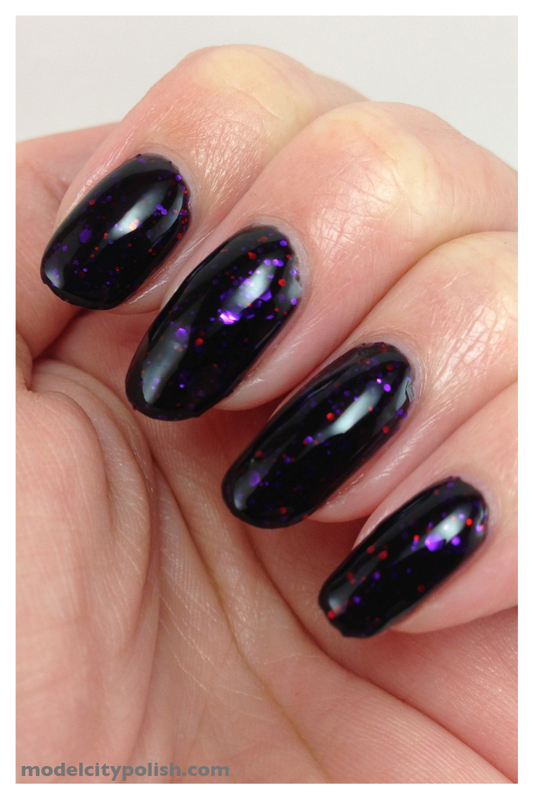 In my photos I am wearing three coats of Buddy Vampire with one coat of Gelous. 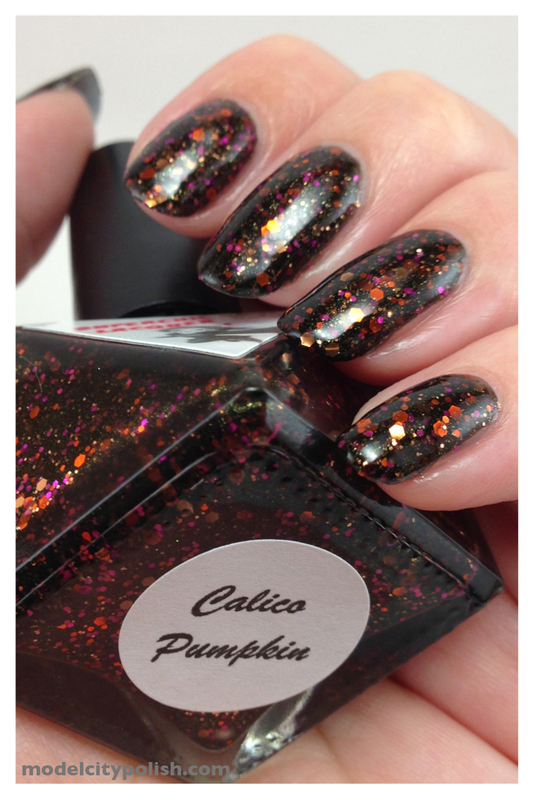 Next up and my favorite by far, Calico Pumpkin. 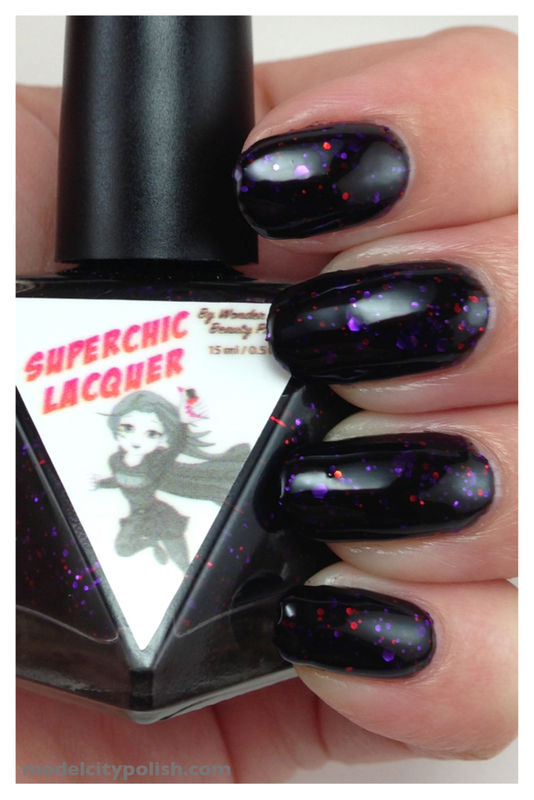 I LOVE this one soooooo much, pictures do not do it justice. 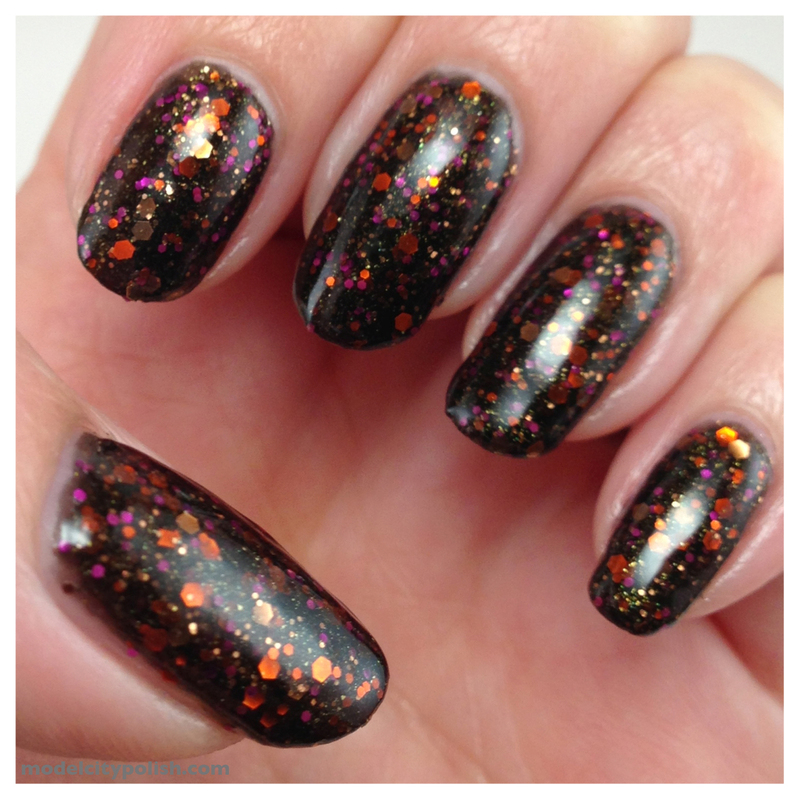 Calico Pumpkin is a black base with gold, magenta, and orange glitter. 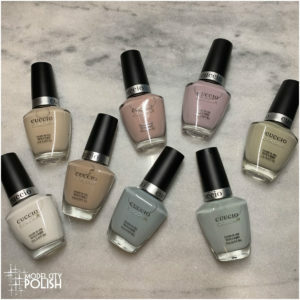 I used three coats in my photos and one coat of Gelous. 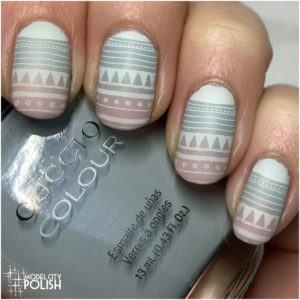 Did I say I loved this one? 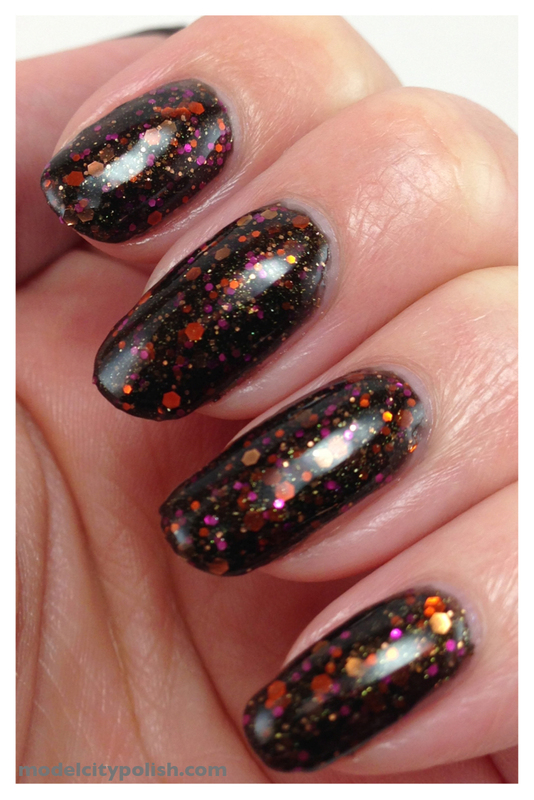 These were sent to me for photo purposes but does not change my opinion in any way.